Have you ever entered a store that didn’t have a store window? While it is quite likely, you will now try to remember the exact situation when it happened. The reason why it will take some time to do so is that, most definitely, it was not a good idea, and you probably avoided repeating it. Entering a store without store windows could end pretty ugly unless you are a fan of surprises barely anyone else wants to experience. For example, what if there was an empty, dark room with creepy walls behind the doors? Or what if you simply realized that you had lost precious 20 minutes of the day by looking around and not finding the products you searched for? The reason – they don’t even sell them! Not funny, right? We all hate wasting our time, because, as we all know, time is money. Now, let’s think of the last time you created a successful online campaign without using a landing page. Wait. Is that even possible? So, let’s put it this way – not using a landing page would be like having a store without store windows. The funny thing is that, nowadays, people go to websites more often than they go to stores. Oh, how the times have changed. That only means that what “the window” offers matters even more for you. A landing page is a must when you wake up determined to launch a successful online campaign for your brand. What will a fantastic landing page give you? To pick the best landing page copywriting service that will accommodate your needs, you should read this text carefully. Having a landing page means that you are giving your brand a chance to live. A landing page is a stand-alone web page used to help you increase the conversion rates. Treat it as a tool for a sole conversion goal. It needs to have a call to action (CTA), which will stimulate engagement with the users. For example, this can be done through “apply here,” or “shop now” buttons. It really depends on what your goal is. While your homepage might have a stellar reputation, that’s usually not enough. Homepage vs. landing page is like trailer vs. the actual movie. No one can be sure whether they will like the movie or not without watching it. Your homepage is a general picture of what your business could be about. A landing page gives them a full idea of why your sole campaign is really relevant to them. In other words, it makes them help you reach the specific goal you’ve set. A fantastic landing page can help you get the sale, gather the users’ information, and increase conversions. 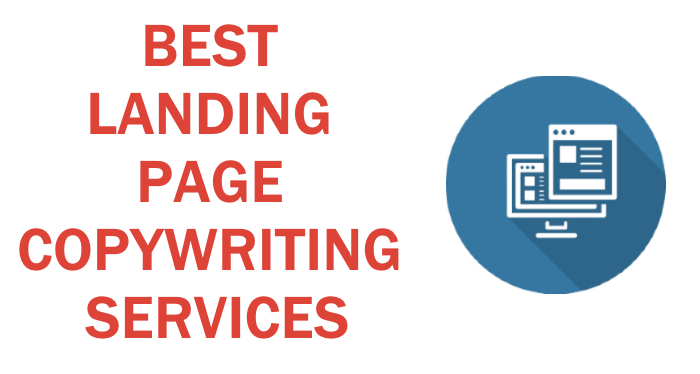 To have a top-notch landing page, you should consider picking a professional landing page copywriting service to help you in reaching your desired results. WHY? Maybe it looks easy, but creating a top-notch landing page requires you to dedicate some time to detailed planning. To sum up, you wouldn’t want to fall short when it comes to achieving your goal. WHAT DO THEY DO? From picking the right words, or a catchy phrase, to deciding on colors and design – your call for action (CTA) needs to be in a league of its own to represent the uniqueness of your business or brand. Craft the A-level landing page. Link its vision to the sole marketing goal. Make the visitors complete the single action you’ve offered. All of this matters, and it’s where a professional will indeed do wonders for you. Everybody likes reading. Well, at least let’s hope so. One of the most exciting authors and entrepreneurs of our generation must be Lewis Howes. He is a 35 years-old former professional US football player. His landing pages fully accompany the diversity of his businesses. Lewis calls you to “get a ticket” to the 2018 Summit of Greatness event. Then he calls you to “sign up” to learn simple steps on how to make a full time living doing what you love. Also, he calls men to “order a copy” of his latest book on men and their masks of masculinity. Take one of the entries from this list as an example. GoSuperb, offering professional content writing services, calls you to “order now” an original content of highest caliber. Whatever your sole goal may be, a landing page is your path. So make sure you pick the best service to assist you in reaching your next milestone. Now let’s get to know the leaders. Starting from 10th place, you will discover in the end who wins in this game of thrones. Some companies care about offering an extra benefit to collect more clients. Landingi is one of them. Landingi is also offering a free trial of their services. Their team has created over 500 landing pages so far, and some of them look pretty cool. However, unlike the winner of this list, you don’t have unlimited revisions. In fact, you can request up to three minor changes to the original content both parties agree on. Anything more than that will count as an entirely new project. It’s also useful to know you can book a 15 minutes-long meeting with a member of their team. If you prefer working with a freelancer who doesn’t necessarily have a company next to his name, you can always pick from thousands of freelancers on platforms like Upwork. From experienced professionals to beginners who offer enthusiasm and creativity, freelancers are always at your disposal. However, make sure you don’t go the wrong way by choosing a complete amateur. The good thing is that you can arrange custom content writing by directly contacting the person who’ll produce it. A landing page is there to increase the traffic and conversions. And, while Jacob McMillen is an accounting grad who “somehow” landed in digital marketing, now he is here to help your business reach its peak. Jacob spends a significant amount of his time creating original content. He claims to be producing content that increases online conversions and grows traffic. While you might not have heard of him yet, his list of clients speaks volumes. Even though he is still pretty young, that list is quite long – go check it out. If you decide to become his next client, expect to have a wide range of copywriting and content strategy services at your disposal. A downloadable detailed guide on how to create a landing page is available on his website. Now that was a really thoughtful thing to do. ExpressWriters.com are somewhat less known than most of the other entries of this list. Nonetheless, the offer they’ve explained on the website seems to be suitable for the decent service you can probably expect. A landing page they make usually consists of around 800 words. Express Writers promises that your landing page will increase your leads and conversion rates “by leaps and bounds.” While this sounds promising, there are a couple of things you need to know. Unlike most of the others from this list, Express Writers does not create prices based on the number of words. They have a price per landing page instead. For a landing page that consists of 750-1000 words, the price is $75, regardless of the exact number. Needless to say, this somewhat different approach to pricing might fit your budget better. If you decide to pick this company, you are likely to find a coupon code on the top of their homepage. Using the code, you can save up to 10% on any service they offer. The second thing you should know – we didn’t find many reviews. However, they do claim to have worked with high profile brands, such as Gucci and Walmart. The first thing you will notice when visiting www.natashanixon.com is that the homepage is just so pleasant to the eye. The beautiful combination of light green and white makes the website readable and simple. However, it fulfills all the needs of a potential customer. More importantly, there you’ll find an example of a nicely done landing page because Natasha Nixon offers a simple 1-step checkout process. When you choose the desired landing page copywriting service and the length of the text, the price will show up on display. The next step is to proceed with the checkout process. It’s that easy. The company promises to find you the best writer you’ll ever need. According to the reviews we were able to find, this is a well-deserved place on the list. If you decide for any other service, the estimated turnaround is 3-4 business days for texts longer than 3000 words. They are known for offering a great value for money – affordable prices. While they carefully follow the instructions, the use of grammar could improve. 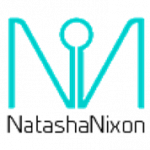 In spite of that, for the price, Natasha Nixon will do an excellent job while creating your landing page. Working with native English speakers from around the world, Get a Copy Writer wants to ensure that all the “dirty work” is promptly done. In their company, they make sure that all the written submissions and copywriters are pre-screened. A wide range of services is at your disposal, including custom content, which is how you can make a deal for your next landing page. Sometimes, people use way too many words thinking that the more words their landing pages have, the better. But that really isn’t true. Conversion copywriter Joanna Wiebe insists that the more your visitors know about the solution you offer, the less you need to say. That sums up perfectly the importance of correct use of words in the world of landing pages. Get A Copy Writer doesn’t hire substandard copywriters. As they say, you’ll never get a job done by someone struggling to use the words wisely. This is a company who has some really high profile names next to their own. Unicef, Western Union, and Pierre Cardin – these names speak for themselves. BKA Content seems like a company that wants you to stay loyal to them for as long as it’s possible. They specialize in 9 different services, including landing page copywriting. Their writers were trained to offer you high-quality content for a landing page. Launched in 2009, BKA Content promises accessible account managers, quick ordering process, as well as consistent quality. This company seems well organized. Reading the reviews makes you quickly decide to put them on a shortlist. Praised for strictly following the guidelines, their account managers answer all the questions promptly. They stand for accuracy in work and take the research depth very seriously. Going through their website makes you realize that they emphasize the human side of collaboration. That probably means that their managers want customers to feel as if they are working with family members. Even though their landing page copywriting service comes with a higher price tag, customers seem to approve their work. If you are a fan of a more friendly approach to the job, BKA Content is your partner. In third place, we have Constant Content. The company is known for its variety of experts and the high rates of those who are native English speakers. After signing up, you can make an order in 30 seconds. Pretty impressive, isn’t it? They promise to deliver high-level results fast. If you decide for constant-content.com, the service will be provided by a dedicated team of writers. When it comes to their landing page copywriting service, they are ranked this high because they understand digital marketing well. They also understand the importance of the emotional side of the whole story, which is especially true when it comes to product pages. Constant Content will help you create a great landing page with emotionally engaging content. As a result, your landing page will vibrate with positive emotions. Keep in mind; your goal is to make visitors like you. So, working with someone who knows this is a huge advantage. Although Constant Content has a quick ordering process, it’s not always as easy as it sounds – especially if you are a beginner. There are several ways to place an order. For starters, remember that there is customized, as well as pre-written content. Choose the landing page copywriting service you need according to that. Even though their price tag is a bit higher, you’ll get fantastic content, written by experts. There is always an incredibly talented, hard-working person with admirable qualities who ends up being a runner-up. Even though we ranked it 2nd on this list, Writer Access definitely provides superior service. When it comes to creating landing page content, their service will give you an exquisite and unforgettable experience. Writer Access allows you to order anything; from articles and blog posts to case studies and tech papers. You can also ask them to help you with social media posts. Not only can you book a US-based writer from a small community of professional writers, but you can also select the membership deal that fits your needs the most. Without a single doubt, a landing page created by their professionals will help your business grow. They’ve had one million orders so far, which proves that this company is here to stay. Besides, if you are not satisfied with the results after a revision, you don’t have to pay for the content. Either you get the exact content you wanted for your landing page, or you don’t pay them. Fair and square. On the other hand, according to ContentHeat.com, there is one thing you won’t like about this landing page copywriting service. Writer Access is one of the most expensive writing service providers – unlike the winning team. Provided that you have your budget set, you can check out Writer Access and enjoy a first class experience. “The Winner Takes It All,” says the famous song recorded by ABBA, the Swedish pop group and Eurovision Song Contest sensation from the last century. Everyone wants to work with winners. So, it’s not a big surprise that GoSuperb.com is ranked 1st on the list of best content writing services, published by ContentHeat.com. Do you want your landing page not only to stand out but also to be the Marilyn Monroe of landing pages? Check these guys out. GoSuperb.com is crème de la crème when it comes to landing page copywriting. They are based in the Netherlands, but they also have many offices worldwide. Offering professional content writing services of the highest caliber, their professional writers will turn your imagination into a reality, thus helping you achieve the ultimate goal of your landing page. Known for its uniqueness, stellar quality, outstanding depth of research, and perfect grammar (they offer a full refund if you find one grammar mistake), GoSuperb.com takes copywriting services to another level. Other than that, they specialize in blog writing, creative writing, press release writing, and cover letter writing. Also, consider them if you need website content, SEO content or product descriptions as well. GoSuperb.com provides a top-notch landing page copywriting service. They do that by making sure that all their writers are handpicked after multiple testing periods. While delivering the best possible service, their originality and excellence stand out in the crowd. As a matter of fact, GoSuperb.com is all about superb writers, superb prices, unlimited revisions, and money-back guarantee. Your landing page will be high-quality and affordable at the same time. Prices vary depending on the service you need. You will never be confused or worried about the capacity of your landing page again. Moreover, if you have any questions, the live chat with them is available at all times. It’s pretty cool to have the world’s best content writers available all the time, isn’t it? Consider all these factors when choosing your landing page copywriting service. Do it because your next landing page will be either a hit or miss.